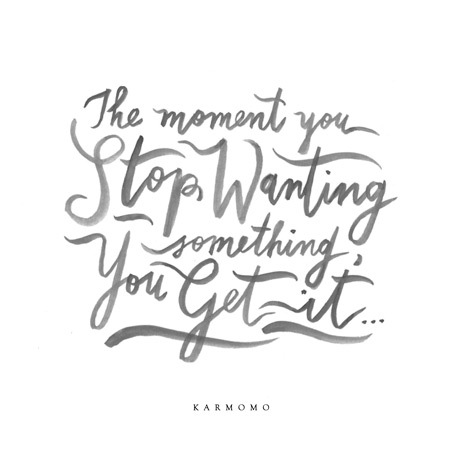 As soon as you stop wanting something you get it. I've found that to be absolutely axiomatic. It's so true though, isn't it? I thought about this after posting my latest thoughts on ACT and reading your comments on creative hopelessness.